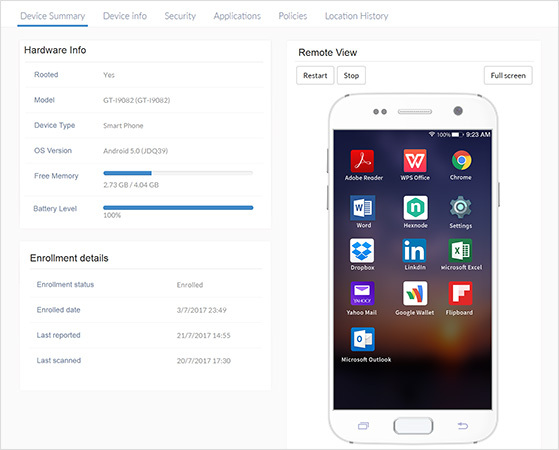 With the release of new Remote-Control feature in Samsung SAFE Devices, it will not only be possible to view the device activities in real time but also control your devices remotely using mouse and keyboard from the console. This feature will enable administrators to effortlessly troubleshoot issues reported by users in real time. Sounds good. When will be possible to use this feature with iOS devices? We have scheduled to release remote view and control feature for iOS devices the next month. We will keep you posted on the progress !